The DF-CP1 is an Optical Viewfinder that attaches to the camera via the accessory shoe. 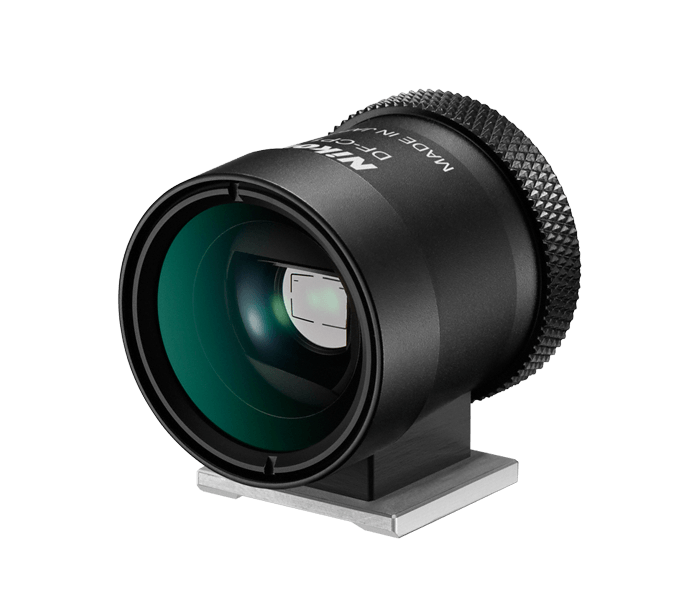 It covers the angle of view equivalent to that of a 28 lens in 35mm format. Made from aluminum, it is black in color and is available as an optional accessory. It has approximately 90 percent frame coverage at infinity, and 0.52x magnification. Frame your pictures up close by adding the DF-CP1 to your camera system.